Where’s a campfire when you need on? This confection is the modern version of a medicinal confection made from Althaea officinalis, the marshmallow plant. Not all marshmallows are vegan, most marshmallows contain eggs or animal based gelatin. 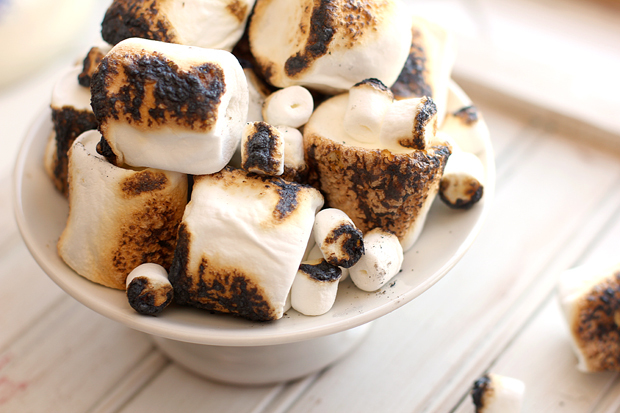 The marshmallow is a confection that, in its modern form, typically consists of sugar, corn syrup, water, gelatin that has been softened in hot water, dextrose, vanilla flavorings, and sometimes coloring, whipped to a spongy consistency. The marshmallow probably first came into being as a medicinal substance, since the mucilaginous extracts comes from the root of the marshmallow plant, Althaea officinalis, which were used as a remedy for sore throats. Concoctions of other parts of the marshmallow plant had medical uses as well. 1812 Agoston Haraszthy de Mokcsa was born. Mokcsa imported 1,400 varieties of grapevines to California in 1862 and planted the first large vineyard in California in the Sonoma Valley. After the devastating blight destroyed much of Europe’s vineyards, some of these same vines, now on resistant root stock, helped rescue the French and German wine industries. 2007 Michael Jackson, a leading beer critic, died at age 65.He was the author of ‘The World Guide to Beer’ (1977), and wrote for articles for various newspapers and food magazines, etc.